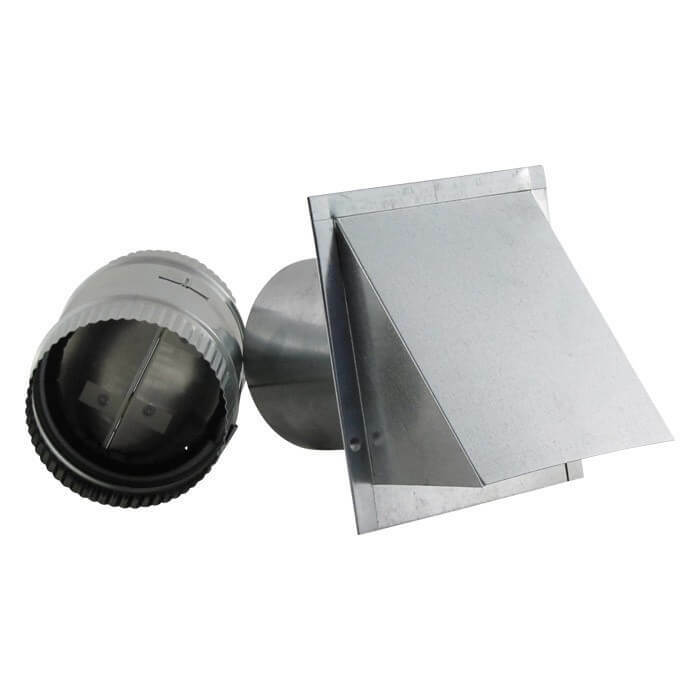 The FAMCO WVEBP Hooded Wall Vent with Spring Loaded Damper, Gasket, and Screen, Painted can be used for air exhaust. 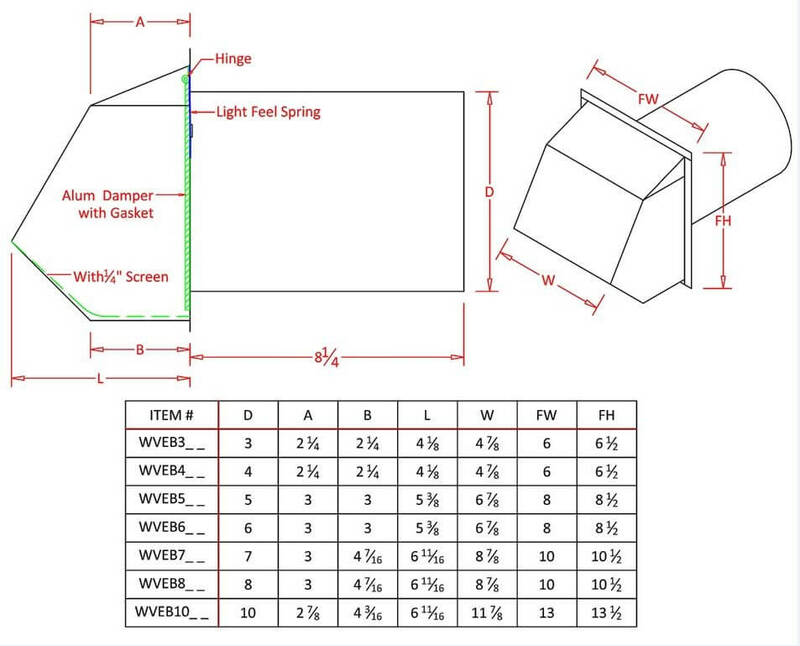 The WVEBP allows for less restriction of air flow. 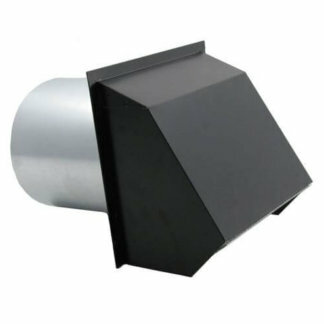 This hooded wall vent is quality constructed from Heavy Duty 28 gauge pre-painted steel. The FAMCO WVEBP comes with a ¼ inch removable screen and spring loaded damper with gasket. Available in sizes 3 inch to 10 inch. Size reflects diameter of pipe. Colors available are black, brown, and white. 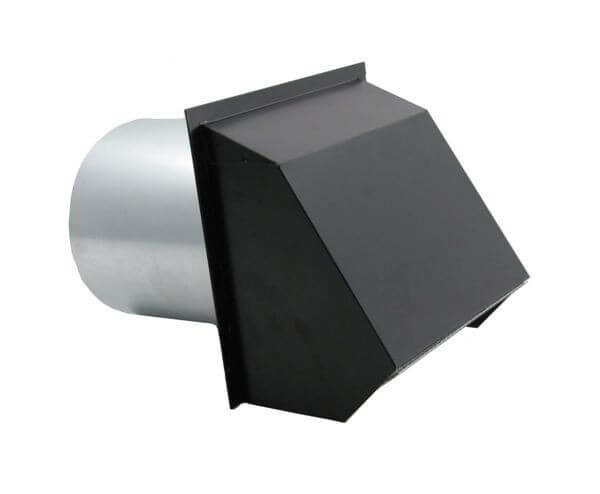 The FAMCO WVEBP Hooded Wall Vent with Spring Loaded Damper, Gasket, and Screen, Painted is manufactured by Famco in the United States and comes with a 1-year warranty against product defects and workmanship. If you have any questions about this product, please refer to the FAQs above or feel free to contact us by phone or email. 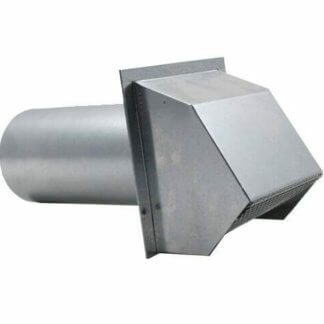 After looking unsuccessfully for a hooded wall vent at local sources, I discovered the FAMCO vent through a web search. It was exactly what I wanted – an over-sized hood, damper spring, gasket and screen. Being painted was an unanticipated bonus. The product is excellent quality and far superior to anything I found locally. It is also priced very competitively. Wall vent came as advertised. Sturdy, well constructed. Specs are spot on. Used item to complete an exhaust system for a cigar room. Recommend paying the extra for the spring loaded damper to prevent tapping of the damper during high wind. Would definitely buy from again! I’ve been in the home building industry for 30 years. This is the second time I’ve purchased this wall vent. The quality and finish has met all my expectations both times. Famco is on my short list of where to go for for my needs when it comes to venting!!! 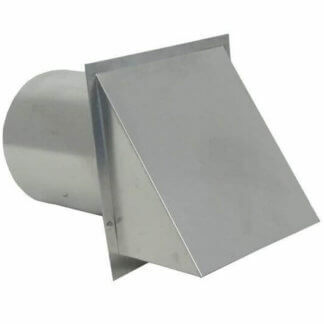 Couldn’t find anything locally to fit my requirements for pro range hood exhaust and found this online. Works perfectly in NE – recently put to extreme test with 2 weeks of “unusual” sub-zero weather, high winds and lots of gusting snow! It’s a hero!! Well built and good quality. After hunting for a damper that is spring-loaded, I found FAMCO and am extremely happy with my purchase. Don’t waste time with a cheap flimsy off-the-shelf damper. Do it right the first time and get something that is extremely well-made in the USA. Very pleased with everything. Quality product, fair price and quick delivery. Great company with quality work and amazing customer service!